Author’s Note: Please read the entire article before passing judgment. The New York Daily News echoed the sentiment of a nation astonished that family members, still reeling from the trauma of their loved ones being massacred, could forgive the killer. It seems surrealistic that in 2015, an era of Baltimore and Ferguson Riots, that a community would come together and praise God, celebrate life, and love in a place that the color barrier is unwelcome and uninvited. Lead by these amazing examples of actual faith in crushing situations, the entire United States looks on in stunned disbelief. 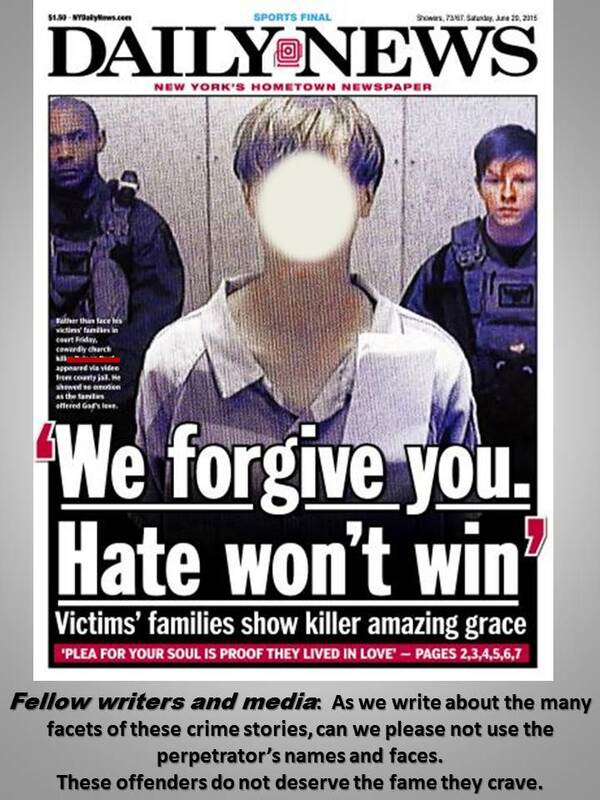 God’s people, not black or white, forgive before grieving and healing has even begun. 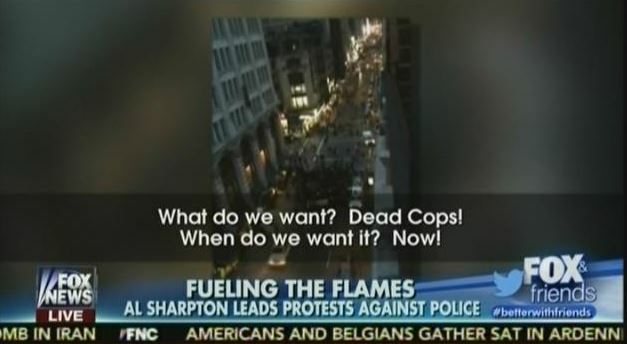 screamed “What do we want? 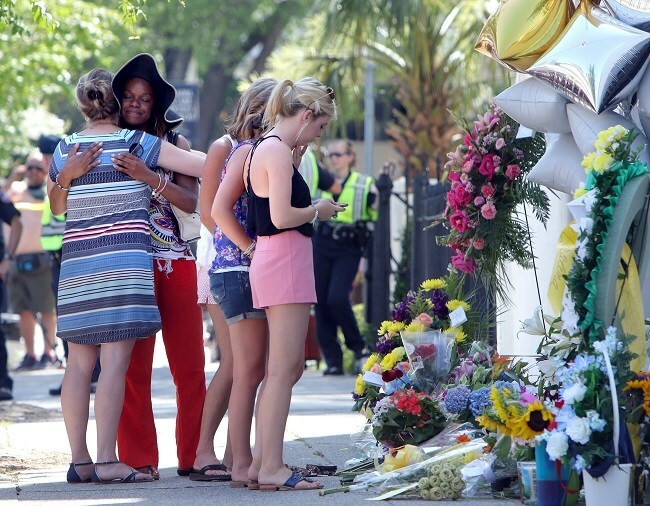 Dead cops!”, Charleston now leads the nation in restraint and forgiveness. 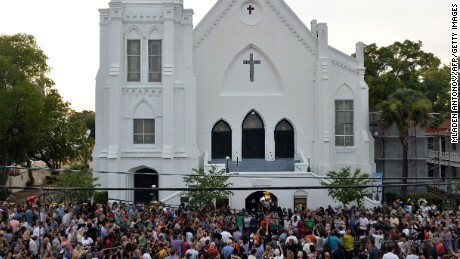 Still, by the standard of their leader, the Emanuel AME families and church members would certainly admit that they fall short. How dare anyone even think such a thing?!? the tremendous racial struggle of the past that has taught South Carolina to strive for a new standard for America. Yet, for all of the heartwarming change that has occurred, for the Christian, it is still not enough. We fall short. There’s a better way. CHRIS SINGLETON, SON OF SHOOTING VICTIM: Love is always stronger than hate. So we just love the way my mom would and the hate won’t be anywhere close to where the love is. ALANA SIMMONS, GRANDDAUGHTER OF SHOOTING VICTIM: Hate won’t win. We have no room for hate, so we have to forgive. OSUNSAMI: And in the high heat outside the church. UNIDENTIFIED FEMALE: We are all one. Our hearts, our blood is all the same, our hearts are all the same. The color is gone in the kingdom of God. MALCOLM GRAHAM, BROTHER OF CYNTHIA HURD, KILLED IN CHARLESTON SHOOTING: Forgiveness, for me, will come in time. I’ve got a ways to get there. If my sister was walking across the street and was hit by a car, I can forgive the individual. It was an accident. What happened on Wednesday night was premeditated. It was calculated. It was intentional. And so I would love to see justice served. This is hate. No human being could find fault for what Malcolm Graham said; the premeditation was too much. Under the beautiful love streaming from his obviously Christ-changed heart, Malcolm’s flesh still demands justice as an answer to hate. Whose flesh wouldn’t demand justice? I am a pastoral counselor, and I counsel many people dealing with anger, hate, injustice and other forms of evil. As Jesus teaches us to, I try to come alongside and meet people where they are, not where I would have them, and not where the Bible requires. The people I counsel are often encouraged by their progress from the point where they started. It is only after several sessions and a lot of confidence-building that I break the news that their standards are not the standards set by Jesus Christ. Jesus, fully human and fully God, wouldn’t demand justice. We are fully human, but not fully God. Still, at the moment we are saved by having faith and believing, the divinity of the Holy Spirit resides in the Christian believer. At first, it is just a spark. We call that justification, and it is in grace that Christ dispatches our sin, having paid for it at the cross. Recall what Jesus said from the cross, as His executioners mocked Him and threw dice, gambling for His clothing. Luke 23:34 (NLT) Jesus said, “Father, forgive them, for they don’t know what they are doing.” And the soldiers gambled for his clothes by throwing dice. justice served.” No other has had more power to bring justice upon the wicked than Jesus, and in justice’s place He served up the greatest act of forgiveness ever known. Jesus sets a supernatural bar for forgiveness, and then commands us to follow His example. We can only strive toward the bar the Jesus sets. We approach that high bar only by seeking it, and by His strength in us. Our flesh alone can never do what Christ does in us as we live and grow in Him. We call this sanctification. It is a life of striving to do the supernatural we can never do. As transformed as the Charleston families have been by Jesus, and as evidenced by their testimony, we don’t see the perfection of Jesus in them. Rather, in these families, we see the supernatural power of Jesus working through His children in their striving to do what others wouldn’t even try. Our flesh naturally cries out for justice against our enemies, but our Lord commands us to love them, and pray for them. 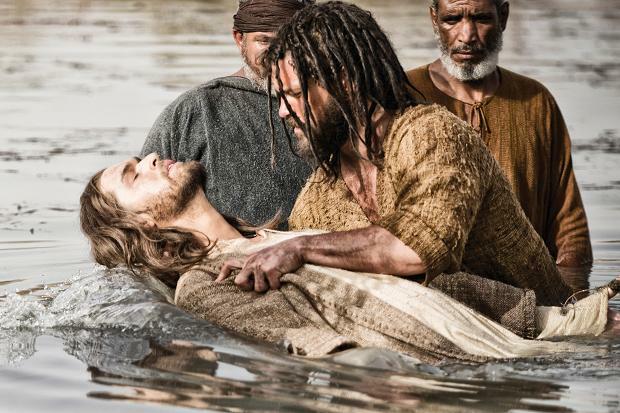 Matthew 11:11 (NLT) “I tell you the truth, of all who have ever lived, none is greater than John the Baptist. Yet even the least person in the Kingdom of Heaven is greater than he is! Thank God we have One who makes us fit for the Kingdom of heaven, not by anything we do or have done, but by our faith and the grace of Jesus. If you’ve arrived at the understanding that we have an impossible standard to live up to, you are on the right path. Still, we are commanded, under peril of our own forgiveness, to forgive those who sin against us. At this point, with an impossible standard to live up to, it is hard to imagine that the task could be even greater. But when we look at look at Christ’s conversation with Peter in the Parable of the Unforgiving Debtor, we see an even greater standard of forgiveness. 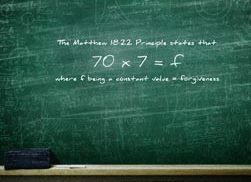 Forgive “seventy times seven” is Christ’s way of telling Peter to change his heart about forgiveness. To be sure, this side of heaven it will be rare to see the example set by the families of the Charleston shooting victims. We saw Jesus, because we saw amazing grace working in their lives. Of course they are human, and could never do what Jesus did. Still, in their striving to be Christ-like, they have given a nation a glimpse of Jesus from the depths of what must be a suffocating place of grief. Their striving gives us hope and inspiration not found anywhere else we may look. 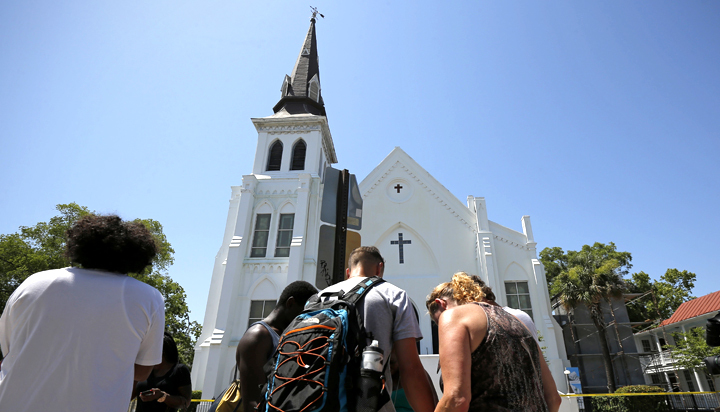 Praise God for how He is working in the families of the Charleston massacre victims. We are profoundly blessed to see Jesus in their striving. Previous Does It Matter If Rachel Dolezal is an Apple? This is quite thought provoking. No. Love-provoking.